We have been able to offer our clients a qualitative range of Bitter Gourd Extract. 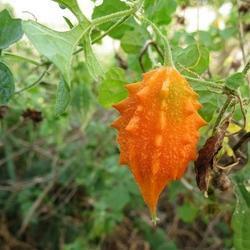 - Momordica charantia is a tropical and subtropical vine of the family Cucurbitaceae, widely grown for edible fruit, which is among the most bitter of all fruits. Bitter melon is a plant. The fruit and seeds are used to make medicine. Bitter Melon Extract is used for various stomach and intestinal disorders including gastrointestinal (GI) upset, ulcers, colitis, constipation, and intestinal worms. Karela(Bitter Gourd) also known as Bitter melon/ bitter gourd or Momordica charantia is especially useful in diabetes as it stimulates Pancreas, Liver and spleen; improves absorption of food and better regulation of blood sugar level. Botanical Name : Momordica Charantia. 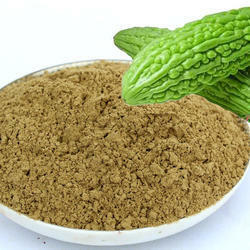 We have founded ourselves as a recognized suppliers of Bitter Gourd Extract also known as Karela Extract. Sanskrit : Karavella, Kathilla, Varivalli, Karavalli.